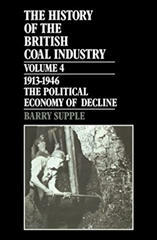 Q1: Describe the differences between coal-mines in the 17th century and those in the 19th century. A1: Most coal-mines in the 17th century were small and shallow 'bellpits'. These coal-mines were often run by small groups of families. 19th century coal-mines were much larger. Normally owned by large landowners, these coal-mines were usually over 500 feet below the earth's surface. Q2: Give as many reasons as you can why so many coal-miners died during the 18th and 19th centuries. Q3: Did the invention of Davy's safety-lamp in 1816 reduce the number of coal-miners who died in accidents? A3: The invention of Davy's safety-lamp did in the short-term reduce the number of coal-miners who died from gas explosions. However, the information in source 4 indicates that the deaths of miners increased after the invention of Davy's safety-lamp. The reason for this was that the safety-lamp enabled miners to work in deeper coal seams. As they were further from the surface, this made them more vulnerable to other types of accidents. As A. L. Morton (source 8) points out: "The actual result was an increase in the number of accidents since the owners were able to open up deeper and more dangerous seams, and, in many cases, the existence of the lamp was made an excuse for not providing proper ventilation." This is supported by the magazine The Spectator (source 9): "The safety-lamp, which in its day was hailed as an important boon conferred by science on the miner, has in practice proved a fatal gift. It has enabled the proprietors of mines to obtain coal in workings that were too 'fiery' to be approached with unprotected flame, and the miner is compelled to breathe an atmosphere which the wire-gauze of his lamp alone prevents from exploding." Q4: What does source 6 tell us about Isabel Hogg's understanding of how Britain was governed? Why do you think she had this view of British government? A4: Isabel Hogg asked the MPs to tell Queen Victoria about what it was like to be a coal-miner. Her comment that Queen Victoria "would have the blessing of all coal-women if she would get them out of the pits" suggests that Hogg believed that the Queen, rather than Parliament had the power to change this situation. This indicates that Hogg, and probably other working people, did not have a full understanding of how laws were made in Britain. This is not surprising when one considers the amount of schooling that most working people received. The high taxes on newspapers and the censorship of books also contributed to this lack of knowledge about the way the country was governed. Q5: One historian has claimed that in some collieries in Britain miners had a 50% chance of being killed during their working life. Other historians have argued that this figure is too high. Explain why historians disagree about the number of workers who were killed in colliery accidents during the first half of the 19th century. A5: The reason why there is so much disagreement about the numbers of people being killed in the collieries is because no official statistics were kept during this period. In 1835 John Sykes (source 4) used newspaper reports to estimate the number of coal-miners killed in accidents in north-east England. However, these figures are likely to be an underestimate because as source 20 points out, until "1851 official statistics were not kept, and powerful colliery owners were often successful at persuading local newspapers not to report the deaths of miners.